Custom window treatments really bring a home together. When you look around at your interior design and simply aren’t satisfied with what you see, it’s time to make some changes. The first step is to identify what aspects of your interior design you like the least. Are you sick and tired of your old furniture? Are you ready to purchase new appliances for your kitchen? Would you like to rip out your carpet and install hardwood flooring? Is it time to make a color change in regards to the paint on your walls? What you need to do is identify what the problem areas are and then make the necessary changes. It’s really not all that complicated of a process. However, in some cases it’s hard to put your finger on exactly what’s bothering you. You like your furniture, you chose the colors of your walls yourself, and you love the things you have hanging on the walls. Still, something seems off, and you can’t quite figure out what it is. If you find yourself in this situation, it might be time to replace your old window treatments with new ones. It’s hard to overstate just how significant of an impact new custom window treatments can have on a home. When something about your interior design doesn’t quite feel right, replacing your window treatments is often a way to tie the rest of the interior design together and make your home feel fresh and clean. 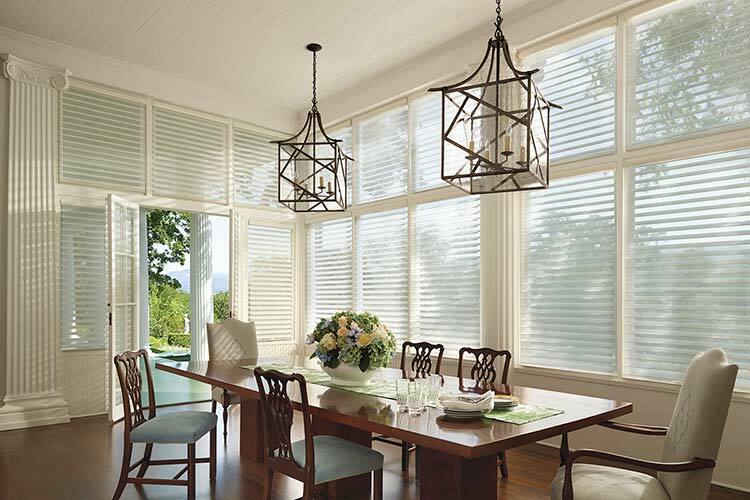 There are lots of reasons why installing new custom window treatments is a good idea. For one thing, they’ll immediately have an impact on how your home looks, both from the inside and the outside. It’s one of those things where you don’t realize just how bad your old window treatments looked until you put new ones in. Immediately the entire home will feel different, and everything will look newer and brighter. If you choose the right design, material, and color, the colors on your walls will pop, the furniture will stand out more, and your hardwood flooring will look better than ever before. On top of the immediate aesthetic effects that new custom window treatments can have, they can also great impact the lighting in a home. A great set of custom window treatments can draw more light into the home throughout the day and block more of the light from leaving the home at night. As you know, lighting has a huge impact on the way a home looks and feels, and thus new custom window treatments can really have an outsized effect. The key is finding a great place to purchase quality custom window treatments from. There are lots of options out there, including Shades on Wheels. This particular company is rather unique because they’ll actually come to your home. That way, you can gain a better idea of how their products are going to look in your home because you can hold their binders of samples up to your window and better visualize what they’ll actually look like when they’re installed. To schedule an appointment, head to their website, www.shadesonwheels.com.